The incident happened at a restaurant on Wednesday. A man who was caught on cellphone video allegedly walking off with a red "Make America Great Again" baseball hat after snatching it off the head of a juvenile has been arrested and charged, according to police. Police in San Antonio, Texas, on Friday would not release the name of the victim because of his age but said suspect Kino Jimenez, 30, would be charged with theft of person. On Wednesday, police said, the victim and two friends were eating at a restaurant when Jimenez approached their table. Jimenez allegedly removed the victim's hat from his head without his consent and "tossed a large glass of soda and ice" at the victim's face, according to police. Jimenez then allegedly left the restaurant with the hat. (Bexar County Sheriffâ? 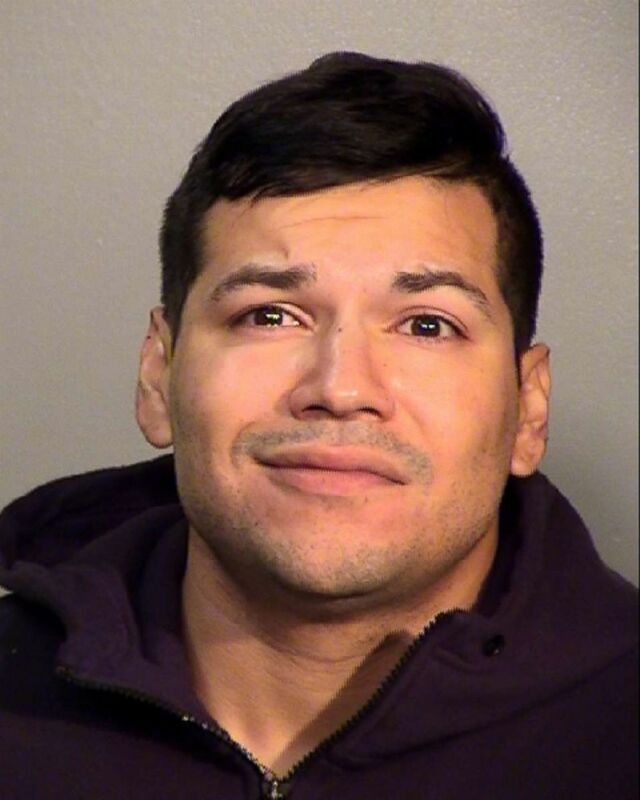 ?s Office) Kino Jimenez, 30, was caught on video allegedly walking off with a red "Make America Great Again" hat after snatching it off the head of a juvenile. In the video posted to social media, Jimenez can be heard saying at one point to the victim: "You ain't supporting (expletive)." "It's going to go great in my (expletive) fireplace," he said, referring to the hat. Authorities said the victim and a guardian later came to a substation to report the assault. The victim, who identified himself as Hunter Richard, told Fox News in San Antonio that he did not think the video would go viral. "Things happen. People make mistakes. ... I just think a conversation about politics is more productive and better for the entire whole rather than taking my hat," Richard said. On Twitter Thursday, Donald Trump Jr. offered to get Richard a new hat, one signed by the president. Brad Parscale, a Trump campaign manager, also offered the teenager a signed hat, saying: "Don’t let a few left bullies stop you from showing your #MAGA!" Jimenez posted $5,000 bond and was released from jail Friday, according to ABC News affiliate KSAT-TV.